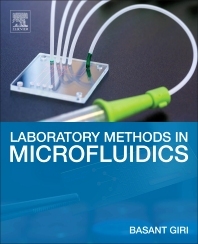 Laboratory Methods in Microfluidics features a range of lab methods and techniques necessary to fully understand microfluidic technology applications. Microfluidics deals with the manipulation of small volumes of fluids at sub-millimeter scale domain channels. This exciting new field is becoming an increasingly popular subject both for research and education in various disciplines of science, including chemistry, chemical engineering and environmental science. The unique properties of microfluidic technologies, such as rapid sample processing and precise control of fluids in assay have made them attractive candidates to replace traditional experimental approaches. Practical for students, instructors, and researchers, this book provides a much-needed, comprehensive new laboratory reference in this rapidly growing and exciting new field of research.